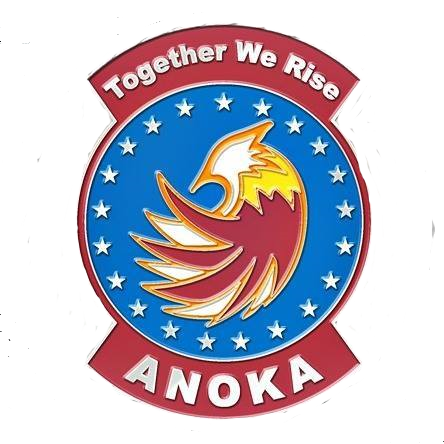 This policy outlines how uniforms and uniform items such as insignia, ribbons, covers, ribbon racks and other uniform accessory items are handled at the Anoka Composite Squadron and the responsibilities of the individual member when it comes to uniforms and uniform items. The Civil Air Patrol has two uniforms for cadets: Airman Battle Uniforms (ABUs) and Blues. All uniforms and uniform items are the responsibility of the individual member. ABU Blouses and Pants will be issued to every member pending size availability. If Anoka does not have your size, we will inquire with the MN Wing Logistics Officer. If those sources do not have your size, it is your responsibility to acquire these items. See the Cadet Uniform Items List sheets in this packet for detailed breakdowns on what items are needed and the How to Wear Your Uniform section in the New Cadet Handbook. Uniforms can be purchased directly from Vanguard, the Civil Air Patrol’s official supplier. Members can choose to purchase from other sources (CC Military or other military surplus) locally. If a member wishes to use a second set of uniforms, he/she can inquire with Logistics. There are no guarantees that a second set of uniforms can be issued as the range of size availability is inconsistent. When you are ready to promote, it is your responsibility to have purchased the insignia and bring it to the meeting in order to have your pinning ceremony. Place your insignia in your pocket and after you report, take your insignia out of your pocket and hand it to the people who will be pinning you. Ribbons are also the responsibility of the member. While supplies last, the Anoka Composite Squadron will issue a ribbon to cadets as they earn them through promotion. However, it’s the responsibility of the member to inquire if ribbons are available. Logistics does have some insignia and ribbons (both new and used) available for purchase at the squadron. Check with the Logistics Officer for the most up to date inventory and price sheet. Members are responsible for uniform items. Because the Vanguard portion of this order is over $35, you are eligible for free shipping. Other items needed for ABUs include: Solid Desert Sand t-shirt ($5 in Logistics) or squadron t-shirt, black boot socks, black combat boots. This will give you the insignia, ribbons and ribbons racks* for the achievements in Phase I. Phase I includes the first four (4) cadet promotions. This will give you the insignia, ribbons and ribbon racks* for the achievements of Phase II. Pricing does not include tax or shipping and was current on November 8, 2015. Check vanguardmil.com for most current pricing. – Vanguard will offer free shipping with $35 order (before tax and shipping). – Sign up for Vanguard’s email newsletter and each month you get a 10% coupon code.